Think Twice - Training and Education - Think Twice has developed a DUI prevention strategy specifically designed for the hospitality industry with a mission to help the public better understand their risk for a DUI before making the decision to drive. Renton Chamber of Commerce - Organizations & Associations - The Renton Chamber’s mission is to improve business and economic conditions, and the general welfare of the community. Now you can join the Renton Chamber of Commerce by spending BizX! Just Poke - Gift Certificates - Enjoy Pacific Northwest inspired cuisine, locally sourced and crafted with care! Just Poke serves up customizable bowls of the freshest seafood, handrolls and delectable desserts! 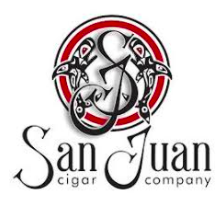 Stop by their locations in Kirkland and Bellevue with many more opening soon! Abbey Party Rents - Rentals & Supplies - Abbey offers an extensive collection of tents, tables, linens, seating, glassware, china, flatware, server ware, and event production equipment for private, corporate, civic, or retail events and weddings. Breaking Bread - Restaurants Accepting the Card - Tired of the same old boring sandwiches? Breaking Bread has the cure! Their goal is to make others feel comfortable and relaxed by sharing good food and radiant personality. 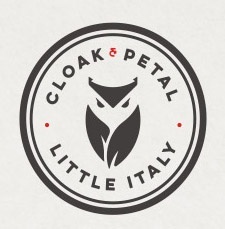 Cloak & Petal - Gift Cards - Cloak & Petal is the most publicized new restaurant in San Diego! It features a décor reminiscent of an abandoned Tokyo subway with authentic Japanese sushi, appetizers, small plates and drinks! Spend your BizX to get some gift cards today! Out of the Ordinary Teambuilding Adventures - Team Building - Looking for something new and exciting for your meeting or retreat this year? Out of the Ordinary Teambuilding Adventures specialize in unique, adventure-based team building activities. Whether you're looking for a general team-bonding experience, a meeting energizer, or an activity designed to work on specific issues — they can create the program to meet your goals, time frame and budget! HOCOA Home Repair Network: San Diego - Construction Services & Supply - What homeowner has not experienced the frustrations of trying to find reliable, insured, quality, service providers to take care of their needs. From the front door to the back door and everything in between, HOCOA Home Repair Network has you covered! Enterprise Flooring - Flooring - The customer is their first priority. They are aware of all the important details and work to make flooring more affordable; starting with a thorough preparation of the sub floors to allow a long lasting installation, to the thoughtfully planned out floor installation. ‹What Small Business Means to BizX ›Congratulations to our #JoinBizX Contest Winner!